The apartment in Miami Playa has 2 bedrooms and has capacity for 5 people. Very nice renovated apartment, and is 75 m². The property is located right next to the beach. It has views of the sea. 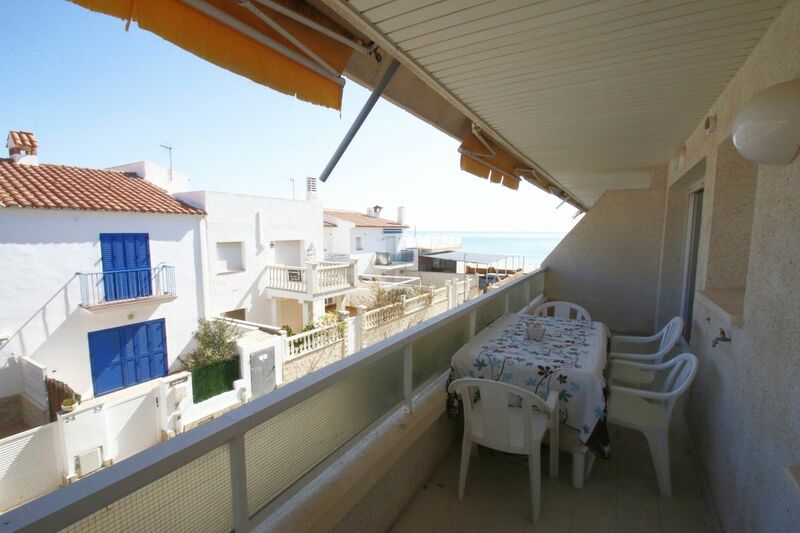 The property is located 50 m from the sand beach, 1 km from the city, 15 km from Reus airport. The house is situated in a family-friendly neighborhood next to the sea. The accommodation is equipped with the following items: lift, terrace, internet (Wi-Fi, with extra charge), communal swimming pool, TV. In the vitroceramic open plan kitchen, refrigerator, freezer, microwave, oven, washing machine, dishes/cutlery, kitchen utensils, coffee machine, toaster and kettle are provided. In this apartment pets allowed. Un bon choix. Très bien placé. Environnement. Emplacement. Équipement piscine. Employés très bien et réactifs. L´entretien et le nettoyage des extérieurs.